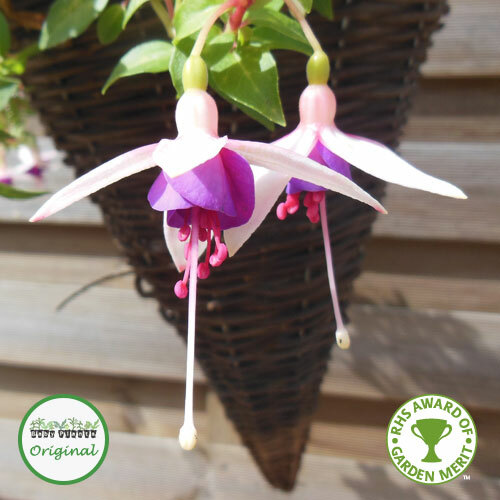 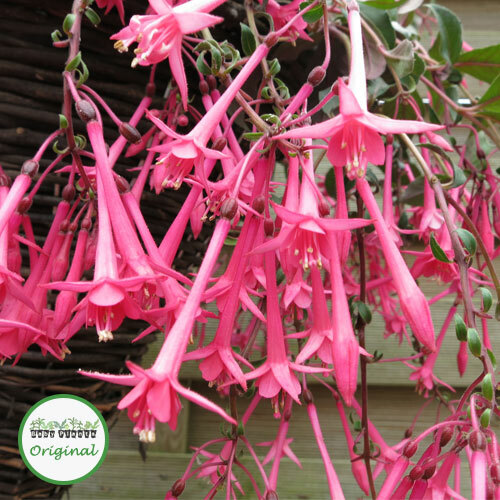 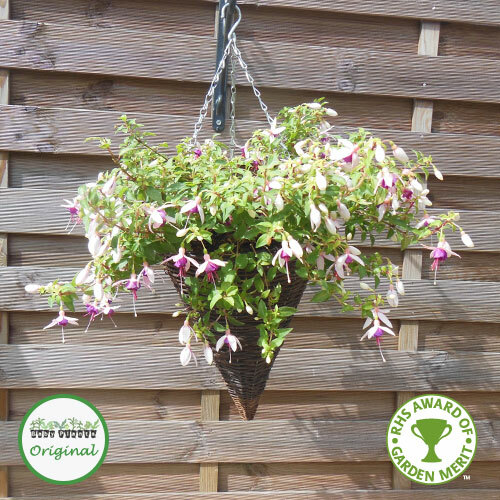 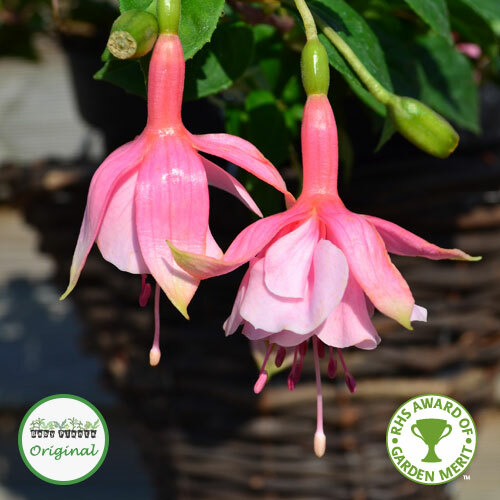 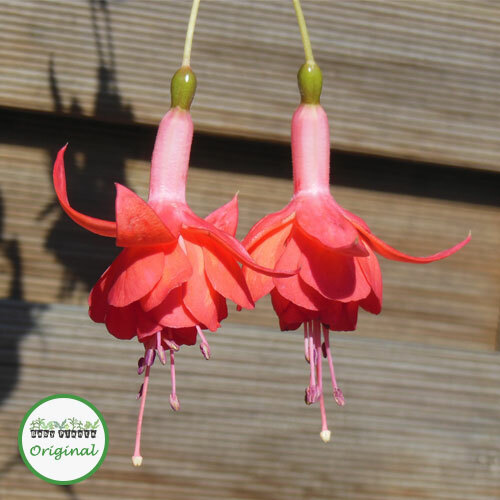 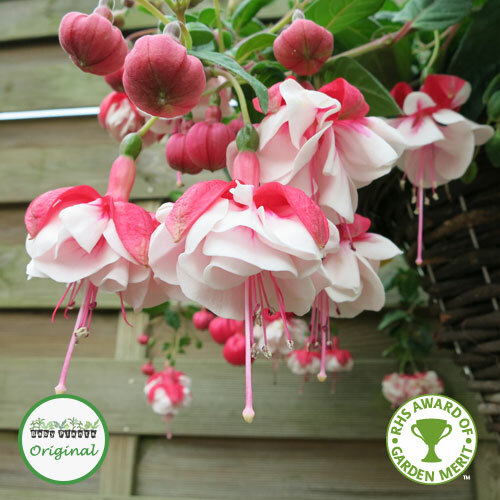 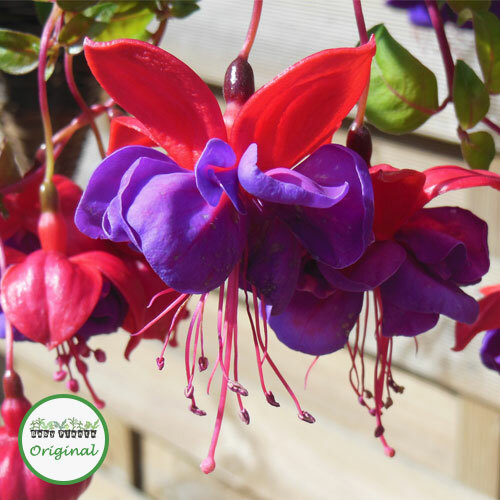 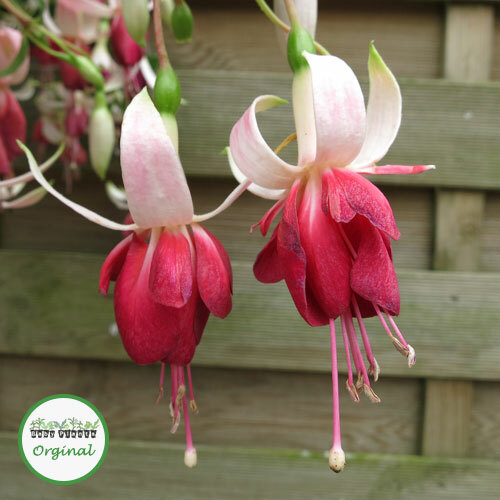 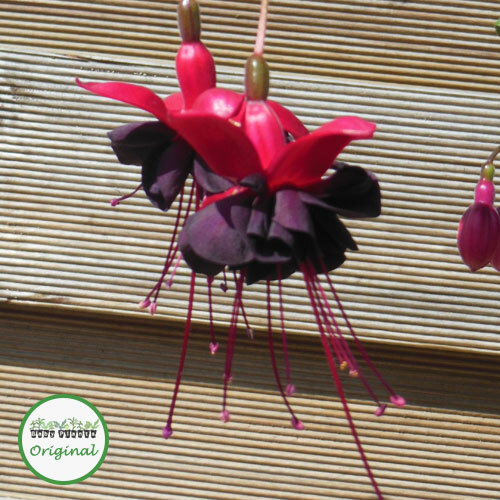 Trailing Fuchsia plug plants are perfect in hanging baskets, where their flowers trail over the edge of the basket creating a lovely show. 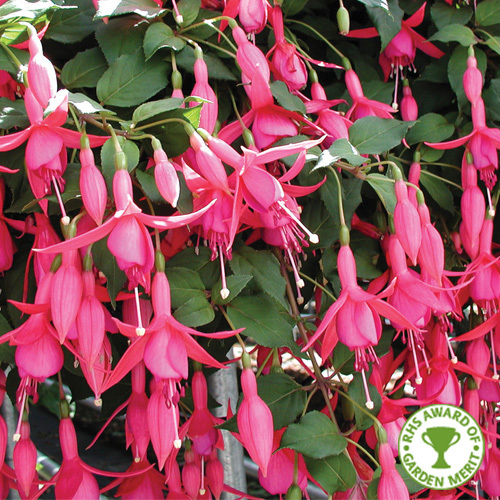 They also look lovely in patio containers, where they trail over the side, hiding the pot behind flowers. 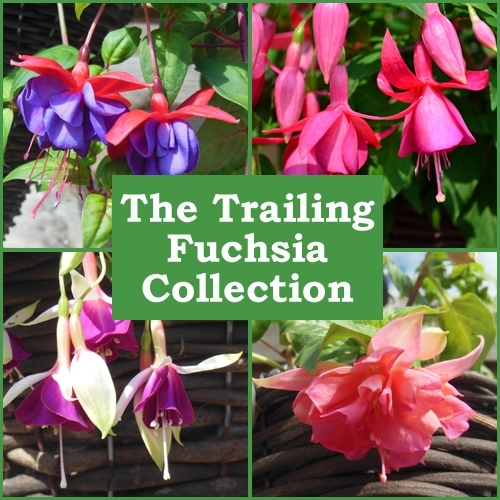 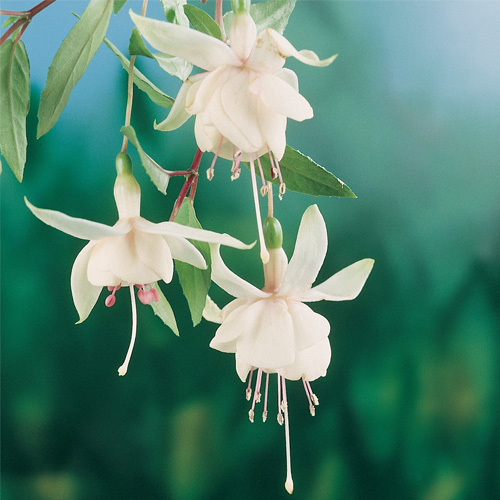 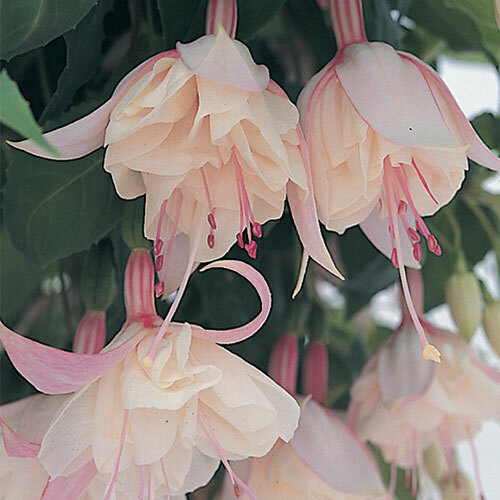 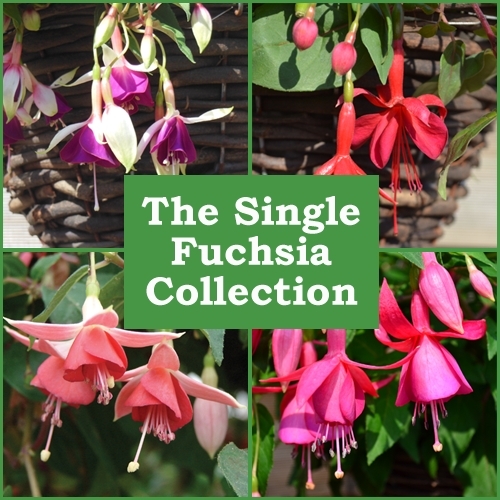 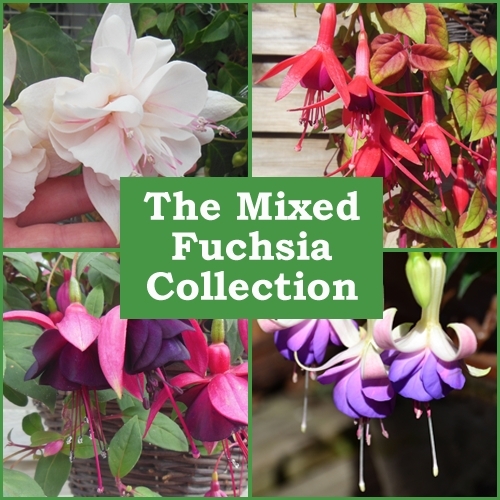 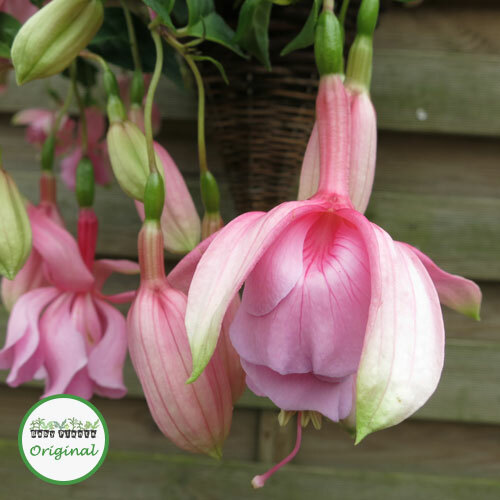 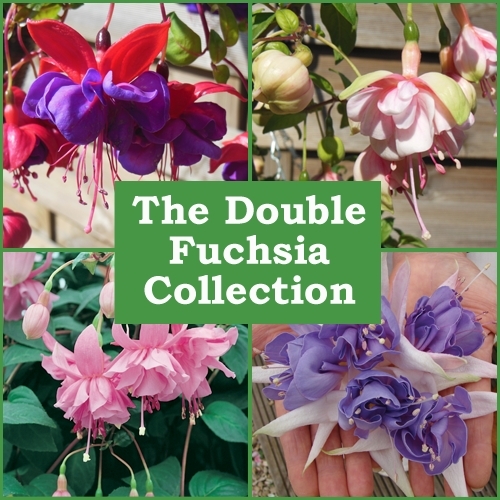 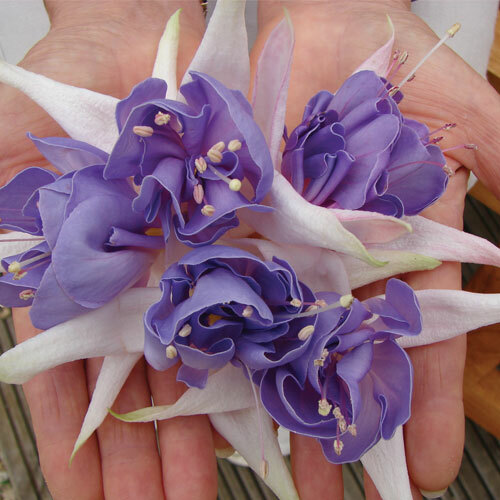 Some of our trailing Fuchsias have single flowers, some have semi-double or double flowers.